First world problem: I keep eating and can't keep up here on the blog! No one is going to feel sorry for me. 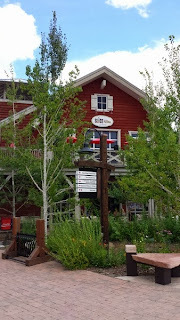 When I was in Snowmass for Labor Day (check it out here and here....so far) we went to lunch at Slice. It was a beautiful day to sit out on the patio and eat avocado. Yes, you heard right. Avocado. 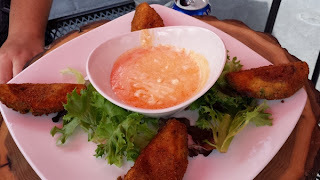 Fried avocado with a goat cheese dipping sauce. And then we shared a jalapeno popper pizza. Barely had time to snap a pic because it was amazing and I had to keep eating. 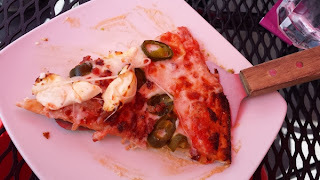 Cream cheese on a pizza was pretty new to me, but will definitely be repeated in my kitchen in some way. Have you tried any fun pizza flavors recently?